It looked so good that I almost considered not baking it and diving right in. I'm happy that I waited though because it was fantastic with lots of melted cheese and hot spinach and artichokes. It was perfectly spicy and creamy, and had just the right amount of crunch from the water chestnuts. And the extra bonus was that I didn't have to feel as guilty about eating it! Also, I seriously doubt you will have any leftovers, but Jamie said they are great tossed with pasta and I have always loved spinach dip as a bagel spread. 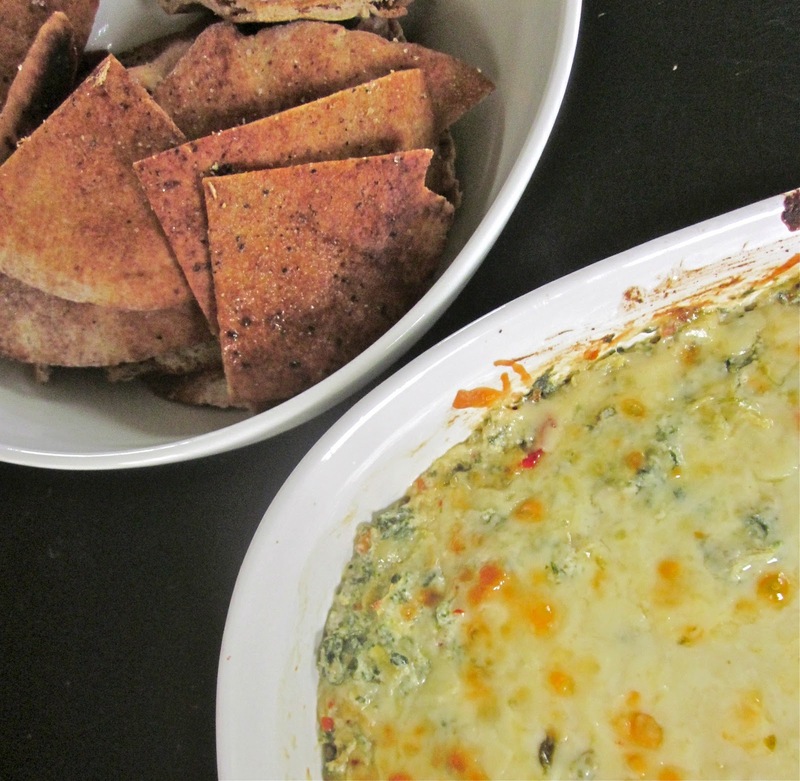 I think this dip will be making an appearance at all of our holiday parties coming up! Preheat the oven to 375°. In a large bowl, mix the ricotta, egg, salt, and peppers together. Mix in the spinach, artichoke hearts, and water chestnuts. Add the parmesan, 1 cup pepper jack, and 1 cup cheddar, and stir until well combined. Transfer the mixture into an ungreased 2 1/2 quart baking dish. Top with the remaining cheese. Cover with aluminum foil and bake for 30 minutes. Uncover and bake for an additional 20 minutes or until bubbly and lightly browned. Let cool at room temperature for 5-10 minutes before serving. Do you think this can be done in a crock pot? I haven't tried the crock pot yet, but I think it is a great idea! Please let me know if it works out for you.